Well folks, we’re more than half way through our kiting season and it’s time for yet another issue of Kitelife Magazine… This one is chock full of event reports and photos, we’ve done our very best to try and bring the excitement and developments currently happening in the kiting community home to you through this on line publication. On my end of things, this year has been all about extending the outreach to our public at every event we’ve attended this year. One of the things that is still hitting home runs at every event we attend is iQuad, apparently popularizing Rev team flying at various locations around the country thanks much in part to the Rev Team Manual produced by Mike Kory a little earlier in the year. Always one of my favorite parts of every year, the AKA Grand Nationals (AKAGN) is coming to Ocean Shores, WA… In this author’s honest opinion, it’s the best event of the year and not to be missed, somewhere you can meet many of the top kite fliers and makers from all over the USA. On the off chance that you won’t be able to attend this years AKAGN, we are planning to repeat our daily updates, bringing you news, highlights and photos from each day of the convention, and even some video if all goes well… Be sure to stay tuned for more news on this. For a full list of the events on the Kitelife tour schedule, be sure to visit my home page. 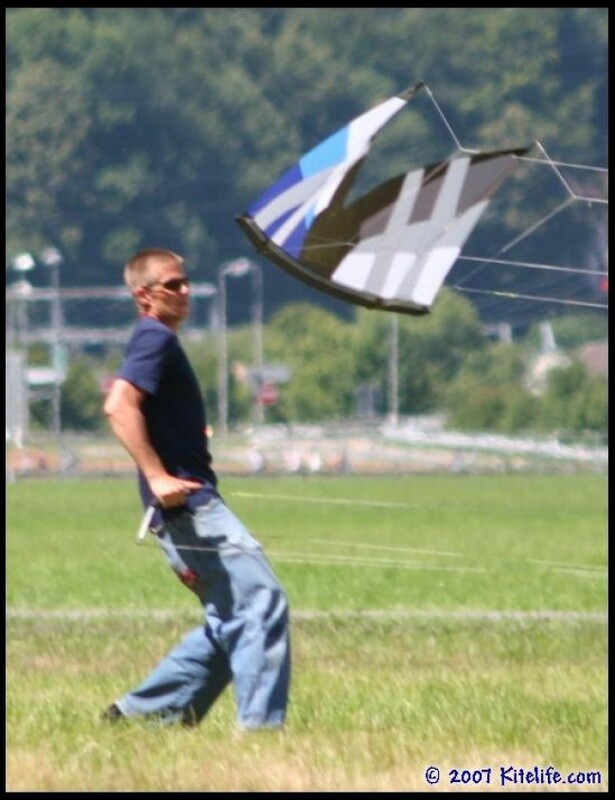 Also, iQuad has a few events left on the roster for 2007, listed on their web site… If you’ll be at any of the same events, please, be sure to come say hello, I always enjoy meeting our readers in person and sharing the passion of kiting. Next Prize Drawing to be held September 5th, 2007! This entry was posted in 2007, From the Editor, Issue 55 (Jul/Aug), Kite Columns, KL Archive and tagged akagn, iquad, kitelife, magazine, manual, rev.